Our Saturday work days will start the first Saturday in April. If you, or a group from your church or organization, would like to help with one of the many projects around camp, just give us a call. There are projects for all different skill levels and there are projects that don’t require any skill at all. Thank you. Email sheri@campdelhaven.org for more information. If you or someone you know may be interested in a summer ministry opportunity, have them contact us at 816-690-8465 or sheri@campdelhaven.org. Volunteers must be at least 14 years old. 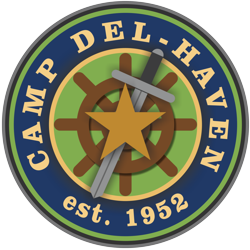 You may also refer to our camp website www.campdelhaven.org. Thank you to those who have been able to donate toward the specific needs we have for this coming summer and for extra maintenance needs on our buildings. The updates are highlighted in red. How wonderful that the need for the shower house updates and repairs have been fully funded, including a volunteer to help us do the work needed! Kitchen Cabinets = We need just under $1,000 to meet this need. Shower House updates and repairs = Fully funded!